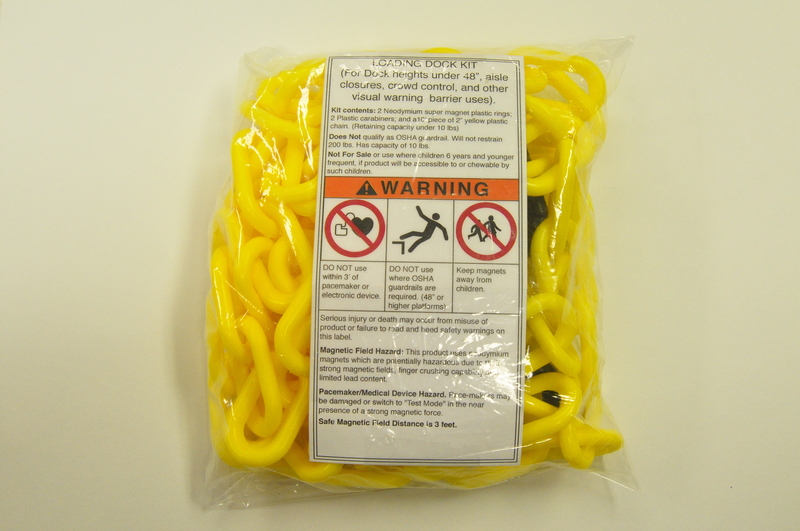 Warn about the particular hazard and provide safety instructions for proper safe use. One example of such a work product is pictured (left). Within the package is a magnetic plastic chain which marks boundaries and visually warns of dangers. Miller Engineering conducted a product safety analysis for the manufacturer and, as a result, designed the warning insert contained within the packaging. Millions of units have been sold. Since the passing of the Consumer Product Safety Act in 1970, awareness of consumer safety in general has continued to increase. Children have always been at the top of the list for deserving the best in safety protection. Prior to the CPSAct, Acts like the Refrigerator Safety Act, Poison Prevention Packaging Act and Sleepware Flammability Acts were designed specifically to protect children. One of the CPSAct’s most substantial contributions was the establishment of the National Electronic Injury Surveillance System (NEISS). This was the first nationally sponsored program to gather data on consumer related injuries and fatalities through a collection of hospital emergency rooms throughout the country. The specificity of this data would allow very precise identification of where consumer product injuries were occurring, what products were involved, and what the circumstances of the accidents were. The regular reports from NEISS assisted the government, manufacturers, retailers, public representatives and safety practitioners to improve upon those products whose utility to users was high but whose risk during use may be higher than necessary. The well known steps for improving a product’s safety were just as applicable to consumer safety as they had been for years in the industrial safety arena. Namely, hazard reduction techniques include designing out the hazards, guarding the user from the hazard, and providing effective instructions and warnings. For children’ products, age ratings can limit exposures of a product to children mature enough and physically developed enough to appreciate and avoid its hazards. The CPSAct gives the CPSC the authority order product recalls, ban products from sale, and mandate notifications to purchasers to warn or instruct of hazards not initially identified by a manufacturer. To date, many of the products which have been subject to one of these “upgradings” have been intended for child use. Manufacturing and standards organizations have also taken leads to improve new designs for children’s toys and furniture.